My friend posted on Facebook a photo of an Activia flavor that I’d wager most people don’t know about: Activia Prune. And it’s all especially curious when you consider that the colon-exploding ramifications of prune-flavored poop yogurt would be muted if they had just said it was plum-flavored. 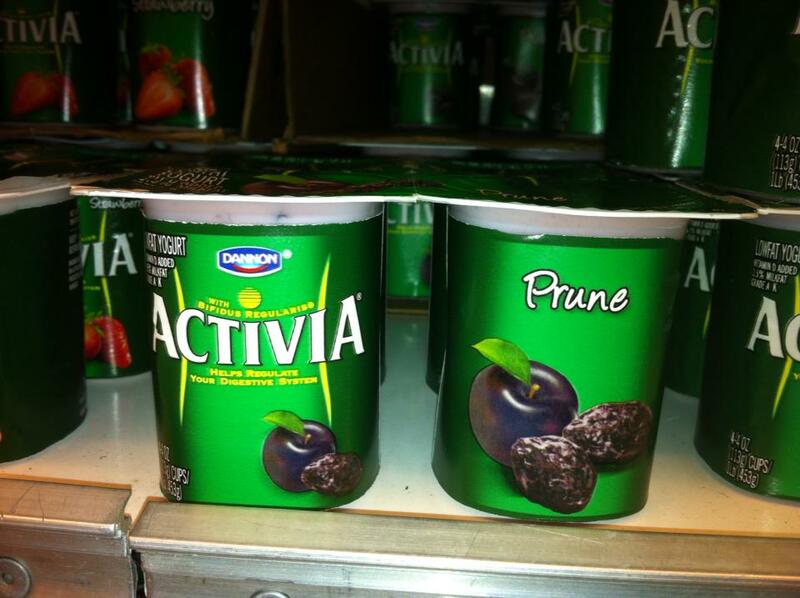 But perhaps the Activia marketing team just knows their audience.